Grocery shopping with my mom, I came across bouquets of sunflower for sale at Whole Foods. Loving their bright yellow petals, I decided to incorporate the color into an outfit. 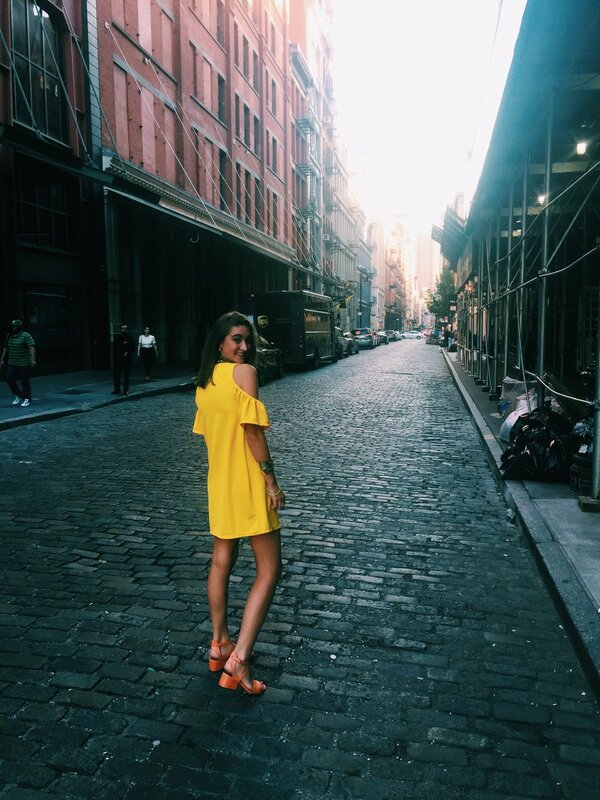 Pairing a yellow cold-shoulder dress with orange sandals, I ended up looking more like big bird than a sun flower, but I still got my fix of yellow!